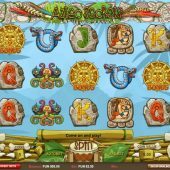 Aztec Secrets slot offers a theme based on Ancient Latin America, when Sun gods and spiritual beliefs guided the people of this time. This 5 reel game has 3 rows and 25 paylines in total, as the mythical symbols float on a blue blackdrop. Developer 1X2gaming are well known for strong themes in their slots, such as their dark Deadworld game and their Oriental-themed Red Dragon. This game is available across multi devices, including mobile, tablet and desktop. Because the graphics are simple and easy to see on the background it doesn't effect gameplay too much when its on a smaller screen. 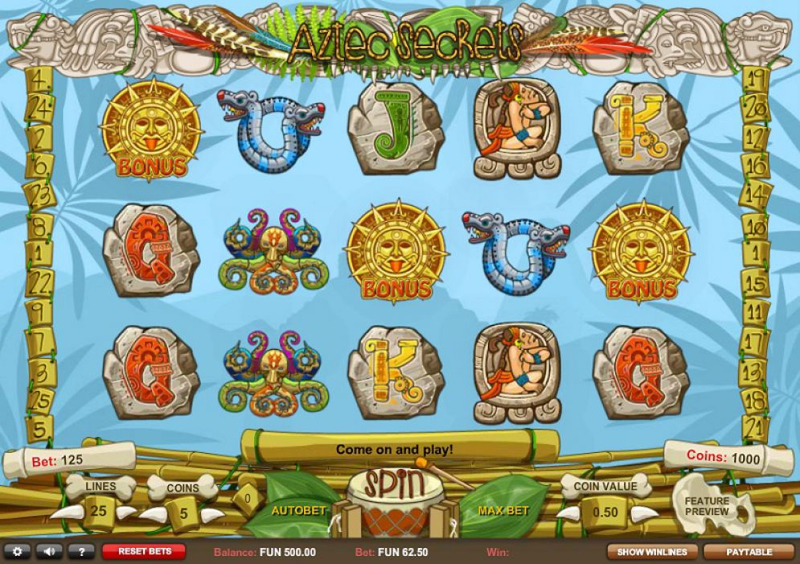 Enjoy the ancient wonders and see if you can unlock Ancient Secrets with this slot.